Adidas Yeezy Desert Boot Rock - Size 10.5 - IN HAND! 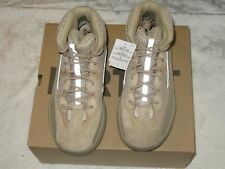 Adidas Yeezy Desert Boot Oil Size 10. Brand New in box. Ships Free!! Yeezy Season 7 Desert Boot “Rock” US Size 10.5 new w/ receipt. Adidas Yeezy Desert Boot Oil Size 9.5 ORDER CONFIRMED!! YZY DSRT BT!! This page was last updated: 22-Apr 17:35. Number of bids and bid amounts may be slightly out of date. See each listing for international shipping options and costs.